I will now talk about two favourite activities for vacationers in Cancun and the Riviera Maya: boat tours and dolphin swim. Both offer guaranteed fun for children and adults, so it will not be difficult to choose one. Can you imagine being on a pirate ship? Would you like a cruise to Isla Mujeres on a catamaran with a party included? Have you ever swum with dolphins? Keep reading because I will tell you some tips and options of boat and dolphin activities that you can do on your next vacation in the Riviera Maya. Jolly Roger. Pirate show in Cancun. The boat tours in the Riviera Maya are for all tastes and ages. From the classic "Jungle tour" for the whole family to a sophisticated romantic dinner in a Spanish galleon accompanied by saxophone music and a romantic setting for couples only. If you travel with friends or family, you can also enjoy the catamaran to Isla Mujeres where you will sail from Cancun to Isla Mujeres in a party atmosphere, you will snorkel and stroll around the island. If you prefer night-time and interactive fun, the best thing for you is a pirate ship. 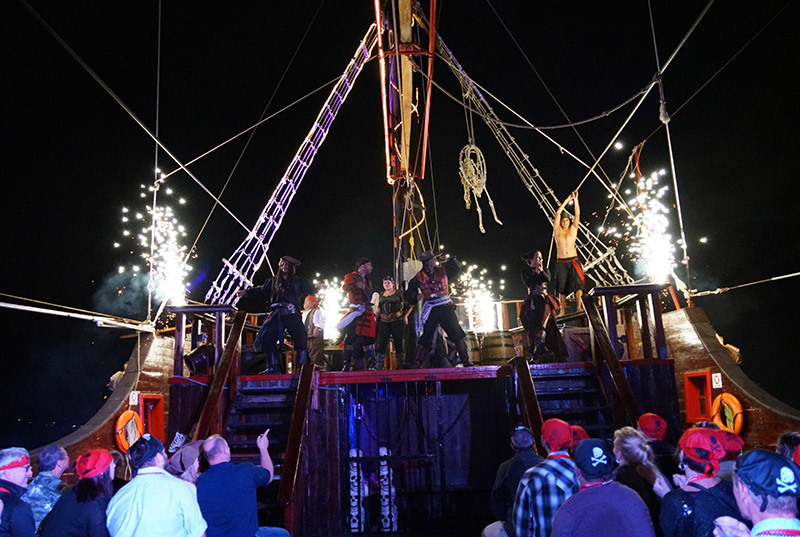 Just imagine being inside a first level pirate show, sailing in a pirate ship, with dinner included and the nocturnal view of the bay of Cancun. It's something you have to live! If your atmosphere is the party, the "dancer cruise" is definitely one of the activities that you must do. Here music and drink never stop. You will travel from Cancun to Isla Mujeres, tour the village, eat deliciously and spend a full day of fun in the white sand and a great sunset. Many visitors also prefer to design their own cruise in the sea, so renting a yacht, boat or fishing boat is the best option. You can rent your own boat for a minimum of 4 hours and you are free to decide the activities that you will carry out during the voyage, as well as your own itinerary. 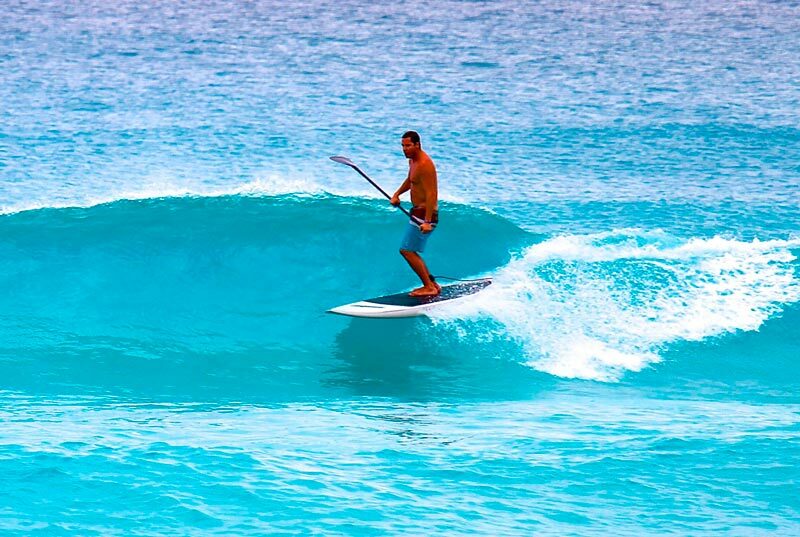 I advise you to review in detail this list of activities, boat tours and yacht rentals in Cancun and Riviera Maya to choose the ones that best suit your needs. I'm sure you'll choose more than one. Swim with dolphins. Royal swim Cancun. Location. 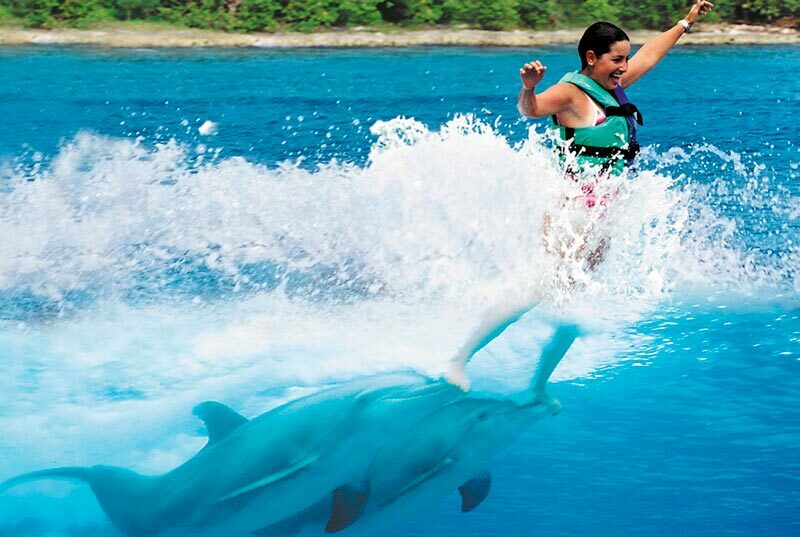 Along the Riviera Maya, there are dolphinariums of renowned companies where you can swim with dolphins. There is 1 dolphinarium in Xel-Ha Park and 1 in the Bahía Príncipe Hotel, both in Tulum. 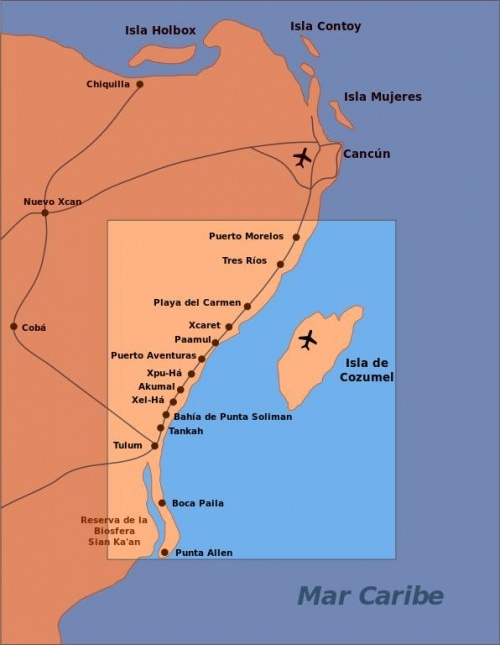 There are also at least 3 in the Akumal area; 1 in Xcaret Park and 1 in Punta Maroma in Playa del Carmen. Puerto Morelos has one. 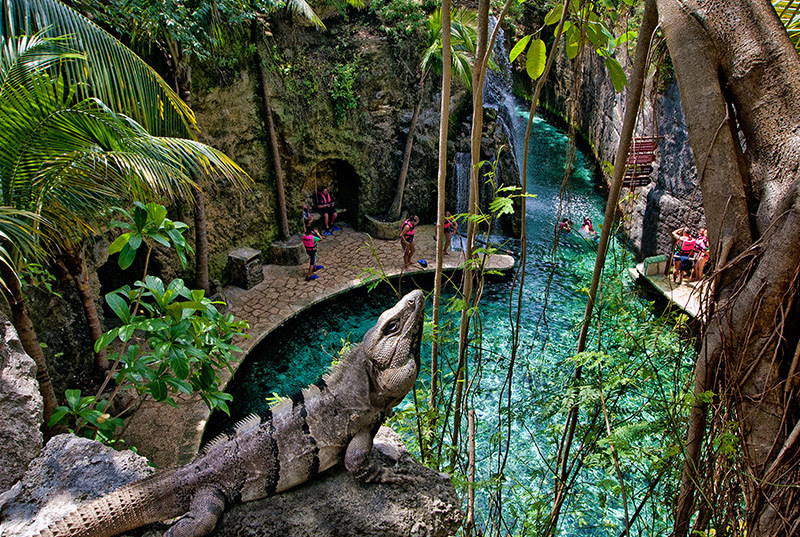 In Cancun, there are 1 in Ventura Park, 1 in the Interactive Aquarium and 1 in Punta Cancun. Finally, Isla Mujeres has 1 dolphinarium. The services they offer. It all depends on the type of dolphin interaction you are looking for. There are packages that only include swimming with a dolphin. Others include ferry transportation, food and more than one interaction with one or two dolphins. In all of them, there is standard and luxury or VIP version. To help you to find the dolphin swim that best fits your trip plan in the Riviera Maya, I recommend you to look for what the different companies offer throughout the year. You can find 2x1 promos, free upgrades, free children and promos for couples, among others. If you want to save all this work, you can consult this list of activities and dolphin swim tours in Cancun and Riviera Maya. I'm sure you'll find the one that best fits your plans! In general, these have been some activities for you to spend a dream vacation. If you want to know about others, you can consult the first part of this blog entry where we talk about snorkelling, cenotes, Mayan ruins and jungle tours in the Riviera Maya and Cancun. You can also check out our recommendations for parks and nightlife in the Mayan Riviera in part 2. 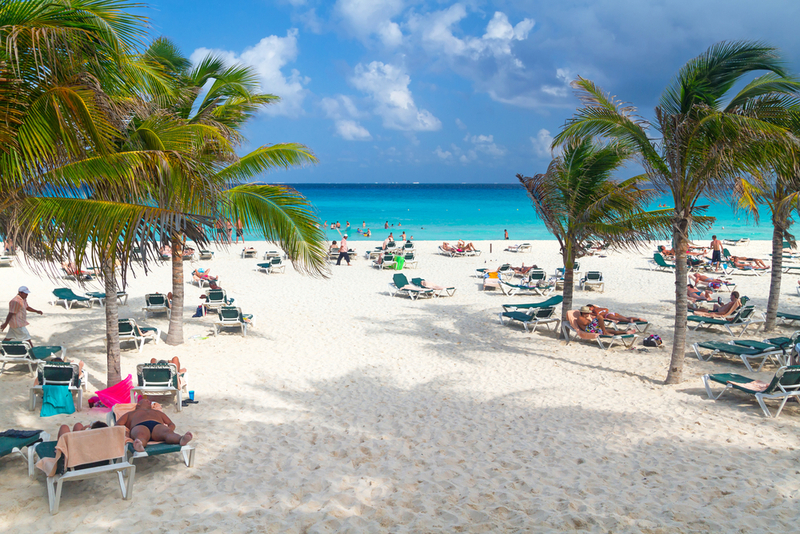 I'm sure you'll find enough to make your next vacation in the Mexican Caribbean the best of your life. Choose well, enjoy and share your experiences in the comments, so you will help others to enjoy as much as you.